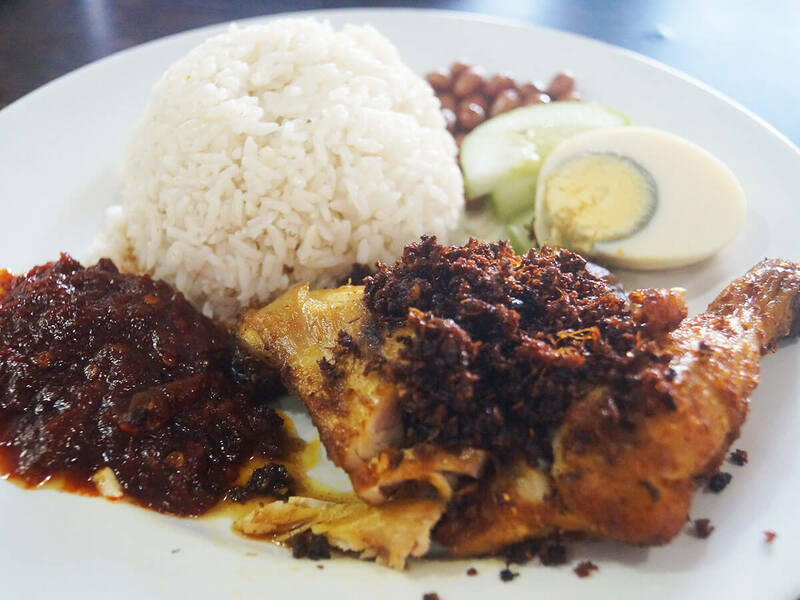 While most Malaysians would agree that nasi lemak is a national dish, a large number would also agree that it isn’t necessarily as tasty as nasi kerabu golok or nasi dagang, especially if it comes straight from Kelantan and Terengganu. But they probably haven’t tasted Restoran Binjai’s unique nasi lemak. 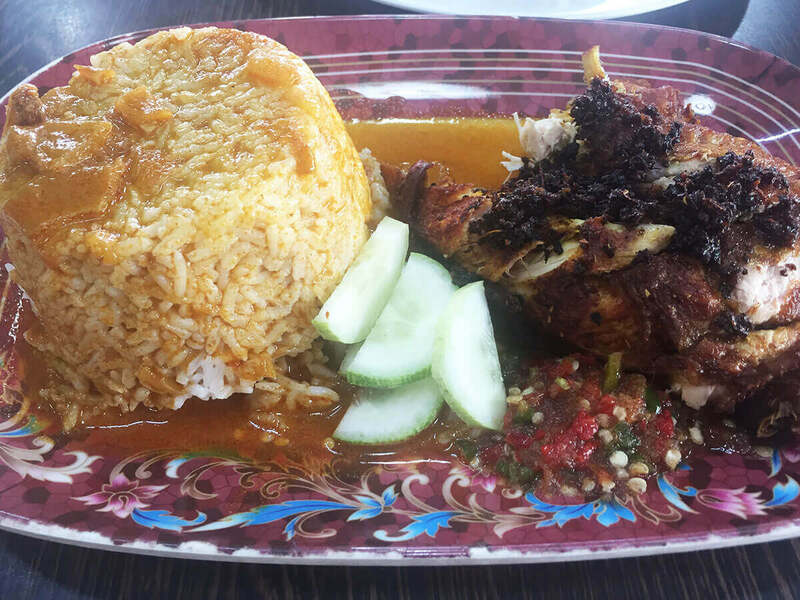 In previous articles, I highlighted Pok Nik Nasi Kukus Ayam Kampung in Taman Bukit Permai and Azizah Nasi Kukus Ayam Berempah in Bandar Sri Damansara. It is this very ayam rempah that sets Binjai’s nasi lemak apart. When my nine-year-old son tried the nasi lemak, he told me: “Daddy, this is great! Try it yourself,” pointing to the ayam rempah, which is leagues beyond the normal fried chicken you can find anywhere else. Here, I also found their nasi kerabu à la Kelantan to be very good, if a little on the salty side. 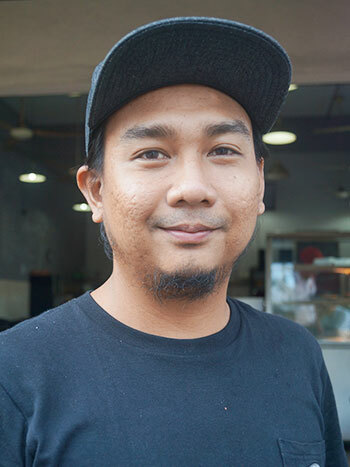 However, restaurant owner, Izzman Hafiz, who hails from Binjai, Kelantan, told me that guests can always request the dishes to be less salty. 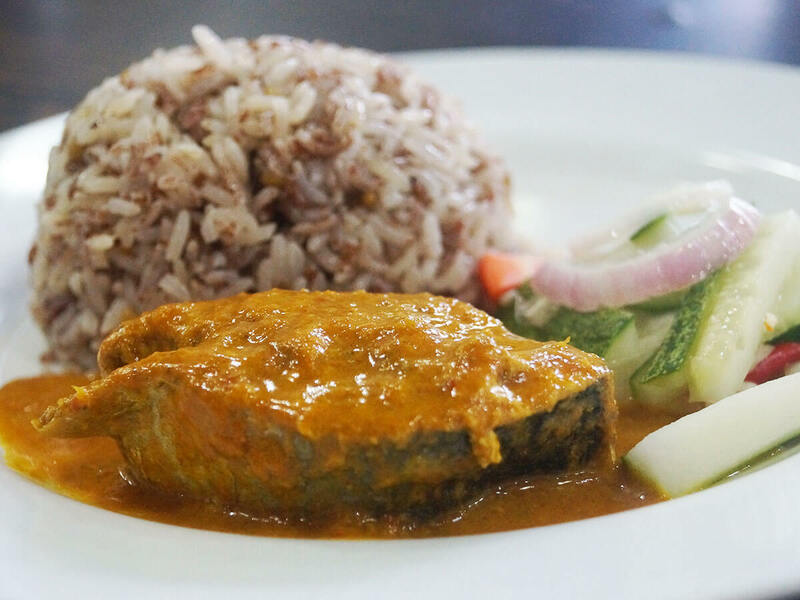 For kids, Binjai serves nasi dagang which can be prepared non-spicy. A plate of rice, with pickled carrot and cucumber, served with a piece of ikan tongkol cooked in high quality santan, costs just RM8.50. Izzman started the restaurant together with his mother in 2008 when he was only 24 years old. The recipes are from Izzman’s own mother. 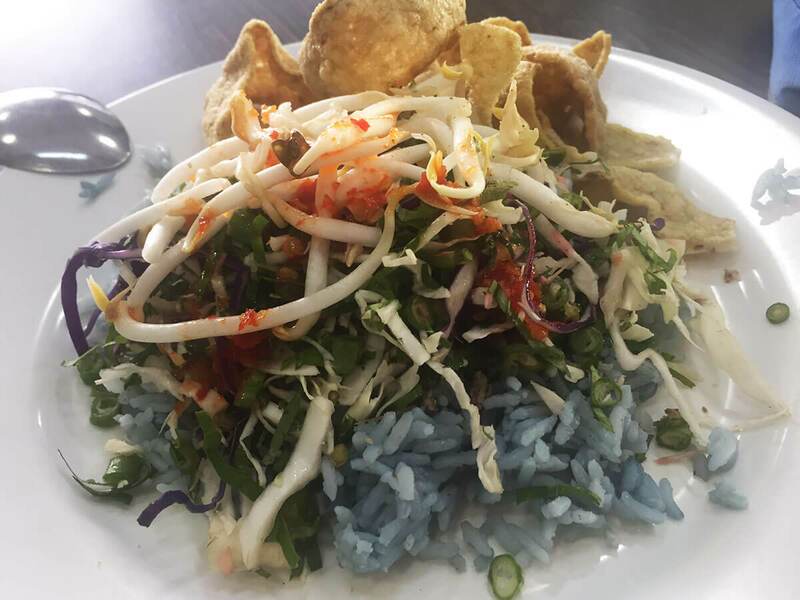 The Nasi Kerabu consists of rice coloured by Asian pigeonwings, desiccated coconut and about seven different types of ulam, bean sprouts and fish crackers, which only costs RM5. 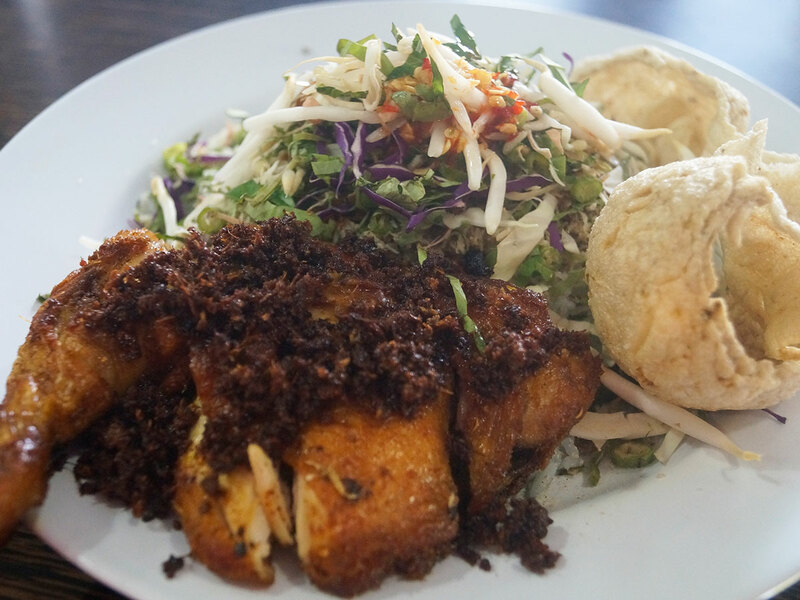 However, you have the option of adding ayam rempah or ikan celup tepung to your dish. They also serve nasi campur, which is mostly ready for the lunch crowd by 10am. By 12.30pm, they’re ready to start taking à la carte orders. 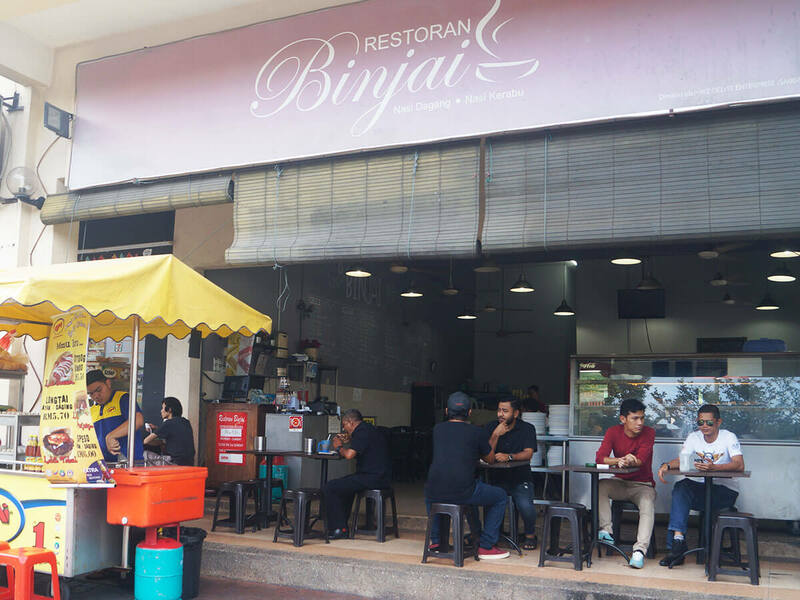 Restoran Binjai is located at a hidden corner of Oasis Business Centre at Lot G10, Jalan Changkat, Bandar Utama, 47800 Petaling Jaya. Stephen is an ordinary citizen with an avid interest in writing about interesting tourist spots and places to eat.